This cheap and gnarly slab of meat can be transformed into a delectable meal — as long as you cook it just right. A relatively inexpensive shoulder cut of beef, chuck roast starts out tough but becomes meltingly tender when you cook it using low temperatures and slow cooking times. But if you treat it like a steak and try to cook it quickly with high heat, it rebels and gets dry and stringy. The moral of the story: Whether you cook chuck roast using your stovetop,oven, slow cooker, or pressure cooker, low and slow is the way to go. We've hand-picked 10 outstanding chuck roast recipes, along with tips for prepping and cooking with this almost magical meat. Season, season, season. To amp up the flavor, rub your roast with salt and pepper (garlic and dried herbs are optional) before searing it. You could let the roast rest overnight in the fridge with its coat of flavoring, or you could simply season and sear. It's up to you and what your time allows. Sear on high, cook on low. Browning chuck roast in a very hot pan with a little bit of oil in it creates a dark outer crust that adds layers of flavor to the finished dish. (It's a common myth that searing seals in juices.) Even if your recipe doesn't instruct you to start with searing, it's a good idea to do it anyway. Fat is flavor. If your chuck roast comes with an exceptionally thick layer of fat, go ahead and a trim off a bit before searing, but don't cut it all off. You can always skim off extra fat after searing or after the roast is finished cooking. Chuck roast is not rib roast. A chuck roast is meant to cook all the way through so the collagen breaks into meat-tenderizing gelatin. It's not meant to be served rare or medium rare like a rib roast. So don't expect a cooked chuck roast to be pink in the middle. If it is, your chuck roast hasn't been cooked long enough. No, don't turn up the heat. Just be patient and give it more time on the low and slow. The mouthwatering results will be worth it. More: Get tips to make the best slow cooker meals. 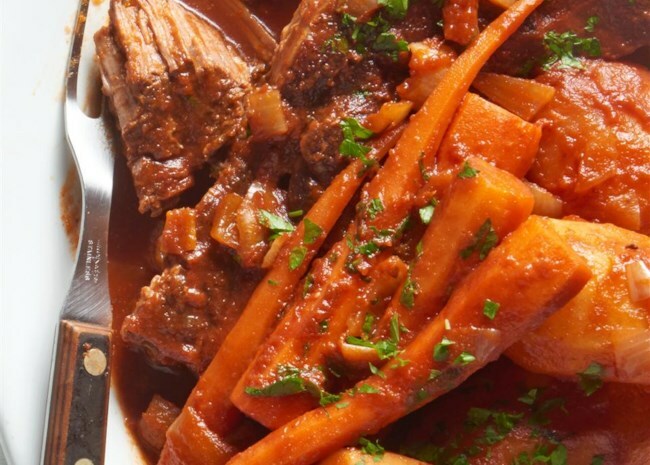 Sundays were made for pot roast suppers. 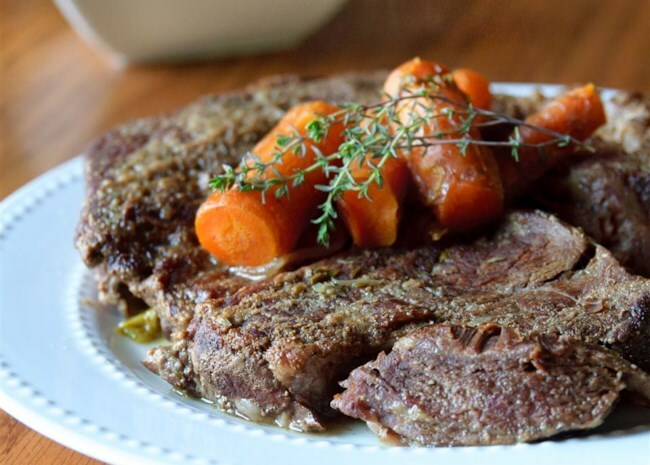 Here's how recipe creator Chef John describes this incredibly simple roast: "This pot roast recipe and technique could not be easier. The vegetables break down, combining with the meat's juices to create a sauce! Warm, hearty, and delicious!" And here's what home cook LeeluDallas has to say: "Amazing! I didn't believe you could make pot roast (which is really braising) without adding at least some liquid. It really worked. The moisture in the vegetables was enough to cook the meat perfectly without boiling it." Tomatoes and brown sugar bring the sweet while cider vinegar brings the sour in this slow-cooked recipe. 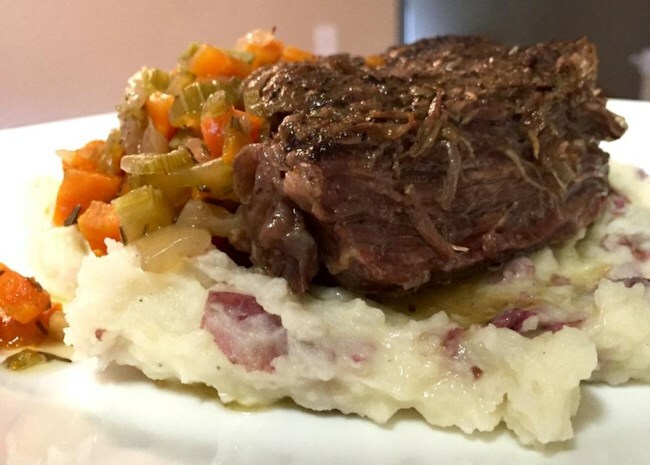 Allrecipes community member corrie46 said this roast made her house smell lovely all day. "Family absolutely loved this recipe! A bit different than the usual pot roast. I did sauté the onions as others had suggested right in the same pan as I had browned the roast. Deglazed with a splash of white wine and followed the rest of the recipe as written." Recipe creator SANFRANCOOK shows you how to take this thrifty cut of beef and turn it into creamy, fork-tender comfort food to serve over egg noodles. Home cook Kristen Scott says, "SOOOO GOOD! I'm 19 years old and just moved out into my own apartment. I haven't cooked very many meals but figured I'd give this a shot. I followed the recipe and it turned out amazing!" Recipe submitter jasminsheree knows that sharing is caring. "This recipe was handed down to me by a Korean friend. So full of flavor! I wanted to share it with you all." The flavor she's talking about comes from soy sauce, brown sugar, garlic, fresh ginger, rice vinegar, and sesame oil. Karen Parsley make it in her pressure cooker and says it was "AMAZING." Her advice: "Go ahead and follow the instructions; just place everything on your pressure cooker and let it do its job for and hour or hour and a half. 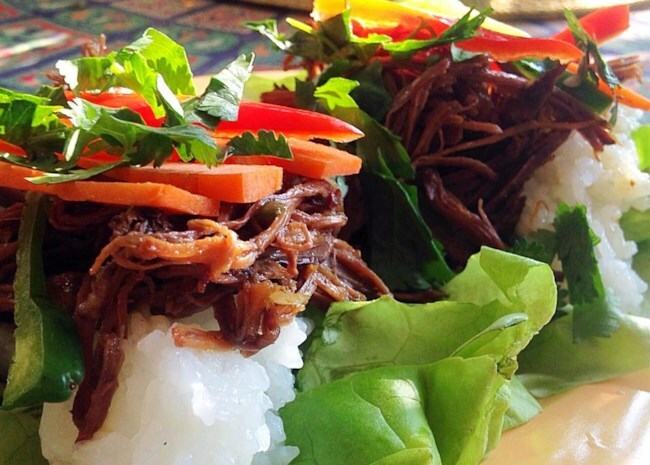 The beef was so tender, shredded itself while cooking." 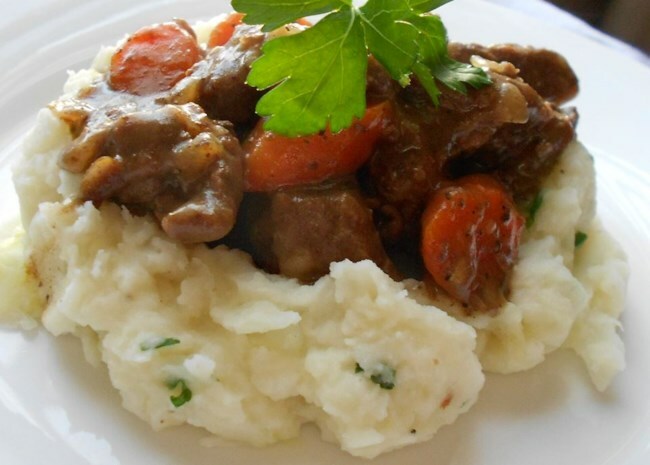 Recipe creator CHARLEY357 says, ""This recipe can be used with chicken, beef, pork and even venison. It freezes well, and can be made into burritos, tacos, or any number of other Mexican-style dishes." Reviewer jcombs raves, "Holy smokes this was good!! Definitely tasted like the authentic shredded beef I love from my favorite Mexican taco shops in San Diego that I've been dying for out in the Midwest!" Allrecipes home cooks love to recreate their favorite restaurant meals, which is why Dani-Dizzle created this big bowl of yum. "This is as close to a certain big chain's barbacoa meat I have ever made! It is full of intense flavors such as garlic, cayenne, and sweet, smoky chipotle." Some reviewers find it packs a spicy punch, so adjust the amounts to your taste. 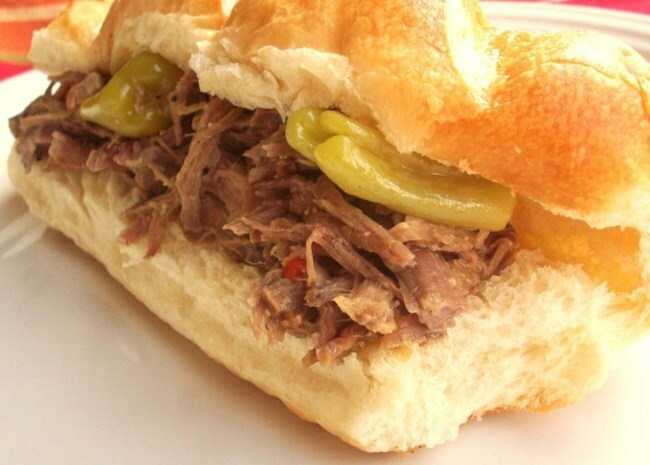 Three ingredients is all it takes to make a big pot of juicy meat for Italian-style sandwiches. Home cook jennifer272 gives it her stamp of authenticity, saying, "This is it! I'm from Chicago and since I do not live there now, I forever crave THE Italian Beef sandwich. Only Chicagoans know what I'm talkin' 'bout. This recipe is as close as it gets." C'mon people, don't wait until St. Patrick's Day to treat yourself to this soul-satisfying stew. Tara is just one of the many who gave this a 5-star rating, and adds, "This is perfect! I wanted some good old fashioned comfort food due to the cold weather today and got to thinking about my Gram's Irish stew. Of course I don't have her recipe so i came here.Glad i did! She served hers over colcannon also, and this was what I wanted, and this recipe is perfect as is! I felt like I was back in Gram's kitchen eating dinner!" Haul out that Instant Pot or pressure cooker and whip up this fabulousness on a weeknight. 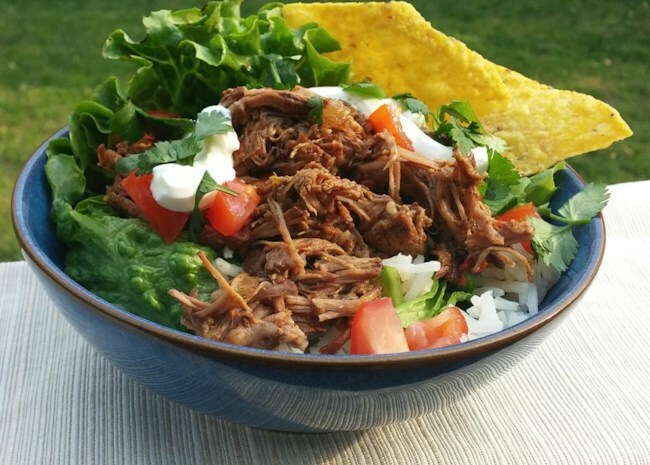 Recipe creator ccsoccerbmxmom says, "VERY tender and delicious. Using the pressure cooker saves SO much time that this recipe can be used on a weekday and still you can manage to eat dinner at a decent hour." And isn't that why you bought one in the first place? You should also read KGora's full review to get all her amazing tips. What? No Burgundy wine in the beef bourguignon? Nope. Chef John makes this version with Merlot, instead. Home cook SER put her own spin on it, too, saying, "This was divine! I added mushrooms and small white potatoes and instead of simmering on the stove for 90-120 minutes after all ingredients were added, I put it in the oven at 325º for 2.5 hrs covered, than .5 hrs uncovered. The meat just melted in my mouth and the vegetables sopped up all the wonderful flavors as well. More: See our entire collection of beef chuck recipes. The best meat for slow cooking also saves you money. 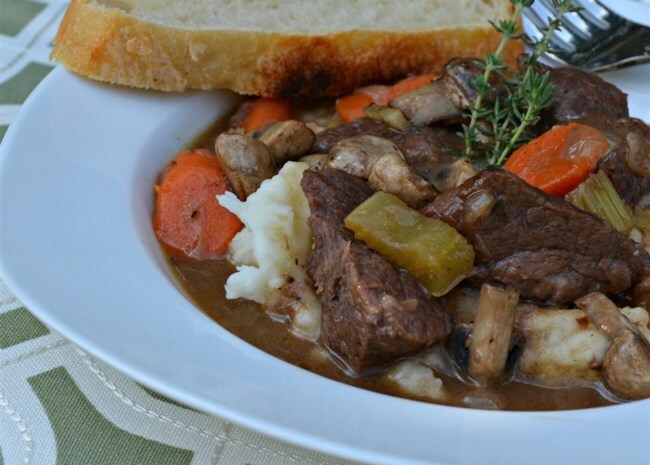 Here's how to convert a stovetop or oven recipe to a slow cooker recipe. Browse our entire collection of slow cooker recipes.